Terrance Freeman and Ju’Coby Pittman named interim Jacksonville City Council members by Gov. Rick Scott. JACKSONVILLE, Fla. - Gov. 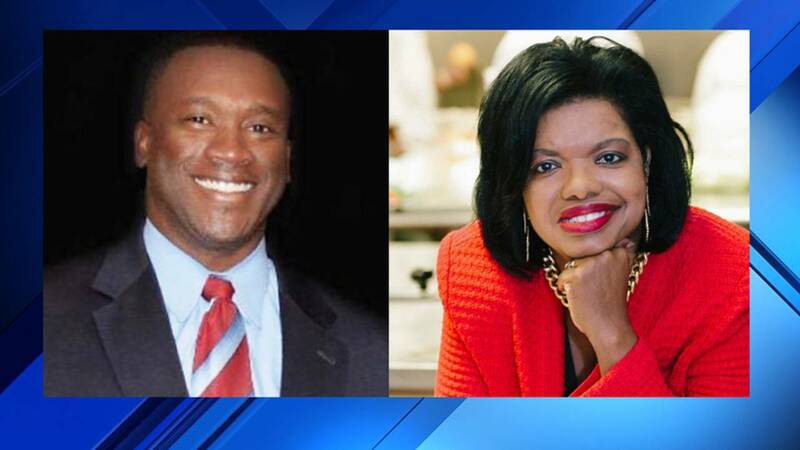 Rick Scott has named replacements for suspended Jacksonville City Council members Katrina Brown and Reginald Brown, who are facing federal fraud charges. Republican Terrance Freeman, 43, regional director at Ygrene Energy Fund, who was recently an aide to council President Aaron Bowman, will represent Reginald Brown’s seat in District 10. Democrat Ju’Coby Pittman, 54, will take over for Katrina Brown in District 8. She is CEO and president of the nonprofit Clara White Mission. Pittman unsuccessfully ran for the At-Large Group 5 council seat in 2015, and Freeman did not make it out of the primary race for State House District 12 in 2016. Scott suspended Katrina Brown and Reginald Brown, who are not related, June 1 after a federal grand jury unsealed a 38-count fraud indictment May 31. Both are Democrats. Their replacements will serve the rest of their terms, which run through June 2019 unless Scott lifts the suspensions. Only the Florida Senate can permanently remove sitting public officials. Pittman and Freeman each will have two spots on council subcommittees. Bowman has vacant seats on the Land Use and Zoning Committee, the Transportation, Energy and Utilities Committee, the Rules Committee and the Neighborhoods, Community Services, Public Health and Safety Committee. The Jacksonville Daily Record reported that council members are on a two-week legislative break. They will return July 16.